Our next variety that we are giving away this season is a new one to our project, but an old well known favourite. 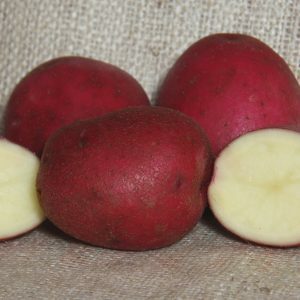 A heritage potato from 1942, Red Duke of York is an early variety that is a great all rounder for cooking. It has a lovely red skin and creamy white flesh – the skin won’t fade during cooking if you leave it on, adding colour and nutrients to your meal. Please share and let people know about One Seed Forward’s community growing initiative, especially if you are a school or community group. And individuals aren’t being left out, we are organising pick up locations for you too, so stay posted!